This last year has been a great year for highchairs. The design has been solid and innovative, with the HiLo continuing on the trend. HiLo is a Montreal-based Age Design company started by husband and wife industrial design team, Patrice Guillemin and Geneviéve Grenier. 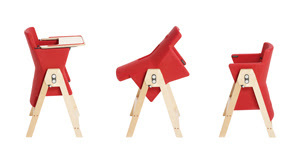 They have created a children’s chair that combines contemporary design with simplicity and functionality. This colourful, duo-height kids chair satisfies your modern aesthetic, while keeping toddlers well-seated from six months to six years. 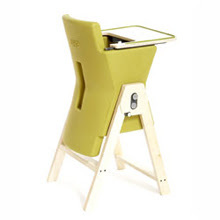 On first impression, the HiLo kids chair looks simple – a one piece molded plastic seat held together by cherry wood legs punctuated by a two-button aluminum adjustment mechanism – and yet its subtle design features and multi-function go further than most highchairs. 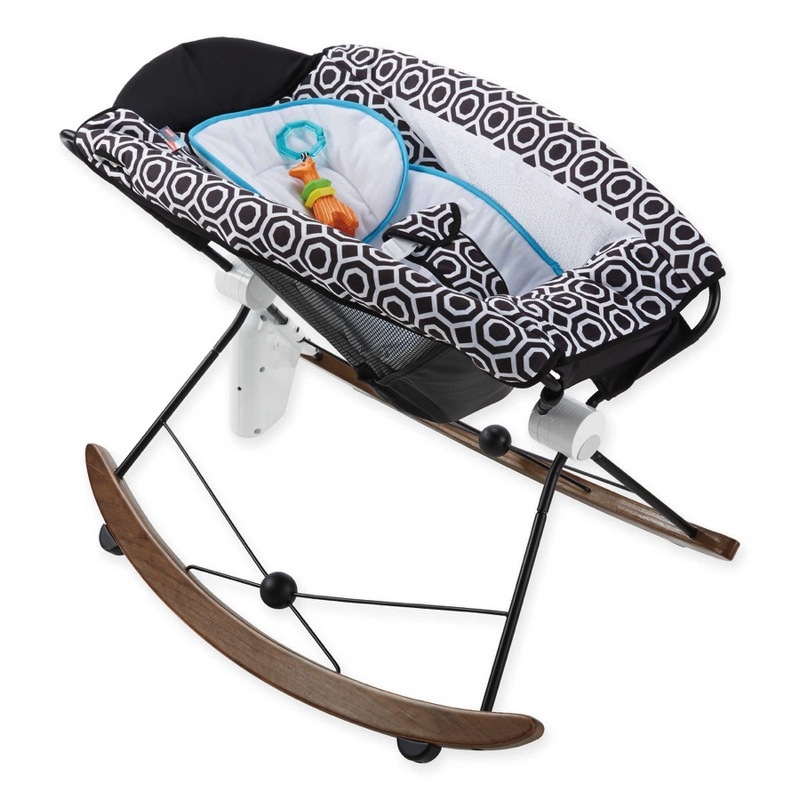 With the easy pull-out side buttons, the seatbelt and crotch bar, the chair moves seamlessly from highchair to an under-table kids chair. Available in four refreshing colours – Asparagus, Carrot, Portobello and Raspberry.